Pink powers to No. 1 on week’s Billboard Dance Club Songs chart (dated April 7) with ‘Beautiful Trauma‘. This marks the 38-year-old singer’s second Billboard Dance No. 1 charter this year, following her lead single ‘What About Us,’ which was co-written with Snow Patrol‘s Johnny McDaid and produced by Steve Mac. Remixed by StoneBridge, Barry Harris, Moti, Kat Krazy, and E11even, among others, ‘Beautiful Trauma‘ transforms into a dancefloor banger with a stellar interpretations ranging from deep house, tropical, and big room. Hear StoneBridge’s remix below exclusively on PRO MOTION Music News. 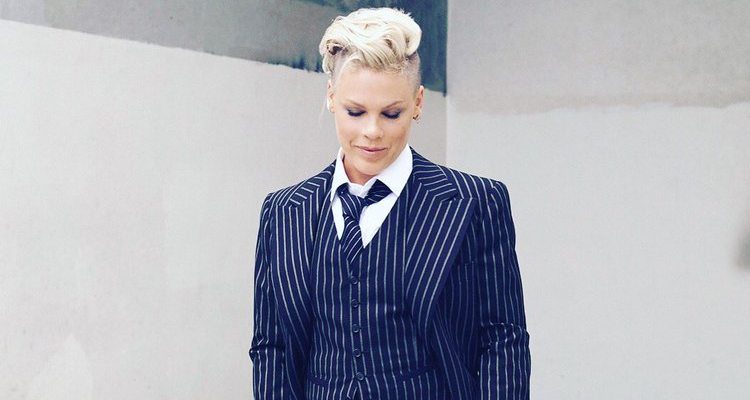 Pink is currently on a mega tour in support of her newly album. She kicked off the tour at the beginning of March with 48 shows on tap at 40 arenas in the U.S. and Canada through June 1. Produced by Live Nation, the tour will also travel to Australia and New Zealand following the opening jaunt in North America. P!nk will play multiple performances in nine cities during the first leg, but her Oceania run — from July 3 through Sept. 8 — will feature multiple shows in all but one of the seven markets.